VUMC’s Transition Management Office supports the effort to design and implement improved patient transition processes culminating in a positive patient experience. Every patient should know what will happen next in their care, with whom, at what cost, and when. 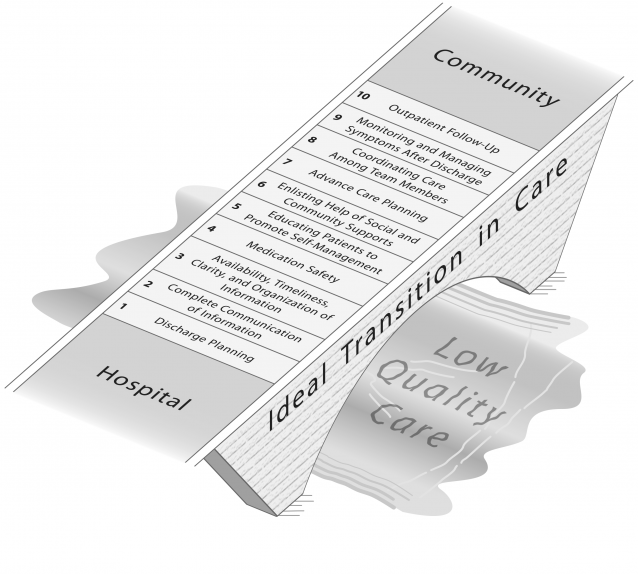 Patients are part of the care team, and will experience seamless transitions from one care setting to another. Patients will easily access the information and services needed to manage their health. We collaborate with internal and external partners to piece together enterprise-wide, scalable solutions with the following objectives in common: increase standardization, reduce waste and redundancy, increase efficiency, partner with patients and families to increase ability to self-manage, and develop / improve electronic solutions to help bridge gaps. Ultimately, there will be a “Vanderbilt Way” with projects well -coordinated and linked to the organization’s priorities. Kripalani, S., Weinger, M., & Beebe, R. (2014). Patient Safety Learning Laboratories: Innovative Design and Development to Improve Healthcare Delivery Systems. Vanderbilt Center for Research and Innovation in Systems Safety (VCRISS), (RFA-HS-14-005), p.30.